We are an Aveda Concept hair salon & beauty spa catering for all genders. 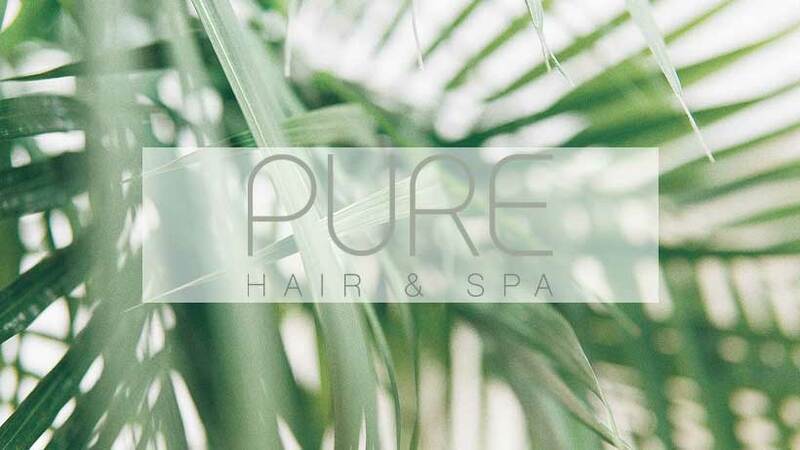 Here at Pure we don’t just provide services, we offer “experiences”; from complimentary rituals to the personal touch you receive from our experts, you can be assured of the utmost in guest satisfaction. You can experience Aveda products in their entirety too. Aveda offer the most advanced, safe and naturally derived colour in the industry and a vast range of cruelty free hair and beauty products. As usual an excellent cut. My therapist was really lovely but the express manicure I had was too basic. I expected more use of products, particularly the Aveda creams on the table but they weren’t used. My hands weren’t washed at all. I could easily have done it at home myself. I visited today for the first time for a shampoo and finish and had a great time. Service and products were fab I was made to feel very welcome and it was lovely to see staff have so much product knowledge too. I’ll definitely be returning! Lovely service but longer than anticipated! Saw James for colour and Max was overseeing and consulting. This salon is so relaxed and friendly but they deliver top notch excellent service. I was offered a choice of drinks from tea to a glass of wine. Always given a lovely head and shoulders massage, but today I was treated to a hand and arm massage and a hot stone treatment! Very pleased with my highlights and will be back to see James again. Delighted with my haircut with James, he took so much care and time. I did comment that this was the best haircut I’d had in a very long time having previously visited many other salons. Will definitely book in again soon. Thank you! I decided to treat myself to a tulasara facial and a lash and brow tint with Paula...it wasnt cheap but worth every penny as it was pure heaven ....and much more than just a facial ...as well as a facial massage u get a hand and feet massage too ...great aromas too ...helped my mind body and spirit. My tinted lashes came up really dark and my brows were tinted the perfect shade of brown enough to define them but not too harsh for my age ....pure luxury in luxourious surroundings. Thank you. Great experience and perfect hair! Treated like a queen for a couple hours, it was lovely. Thanks so much guys- see you in 10 weeks. First time visiting this salon. I booked for a waxing appointment last minute online. Paula was very professional and did a great and thorough job. The room and equipment were very clean. Will definitely book again. Lovely colour and cut from Angela. Fantastic service as always. Would thoroughly recommend. A lovely, relaxing experience and very happy with my cut and colour. Thank you. I had a 15 minute reflexology session with Rachel and I really enjoyed it.